it's my girls' world: This one's for you, my friends….. 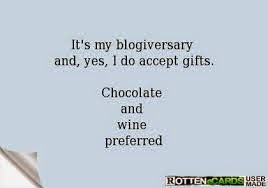 This Saturday was two years since my first blog post. What started as a very simple way to document all the little stuff about my kids has turned into so much more. 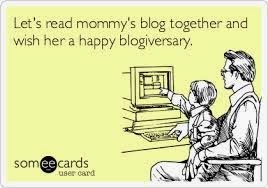 It's become a portal to our lives for my friends, family and my fellow blog peeps. I share updates, tips, recipes and still include all the little stuff as well. But to me, I get more out of my blogging than I give. The blogging community are my people. You guys are the first to cheer me on and celebrate our family's successes, laugh at all our antics (with us of course), give advice when solicited, send encouraging words when we need them and just comment on all the day to day silly stuff. I appreciate the reading and the comments so, so much. I get all these great ideas, tips and tricks just from my fellow bloggers. When I first left the corporate world, I thought that the world had become a more solitary place. But thanks to some great friends I've made in my mommy life and to you guys, my readers, it's still a very connected world after all. So thank you friends for tagging along. The ride simply is not the same without you guys! And some funnies for this Monday Morning! D & C do this sometimes! Hear hear! I also feel like I get so much from this blog world, I'm happy to have found your blog, nice to connect with people close by! Love your blog and love this post! Especially the first cartoon about trying to decide if something is a blog worthy post lol. That's so me. We look forward in reading your blog and seeing the beautiful photos of your family and friends, you do an excellent job, it takes a lot of time, effort, skills and commitment. 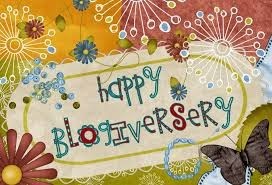 Great job, and happy blogiversary!!!! 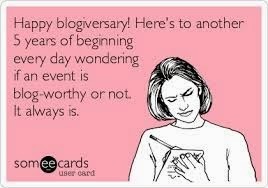 Happy Blogiversary!!!! :) Two years, that's awesome. Hope you celebrate all week! Congratulations on 2 years! That is really awesome!